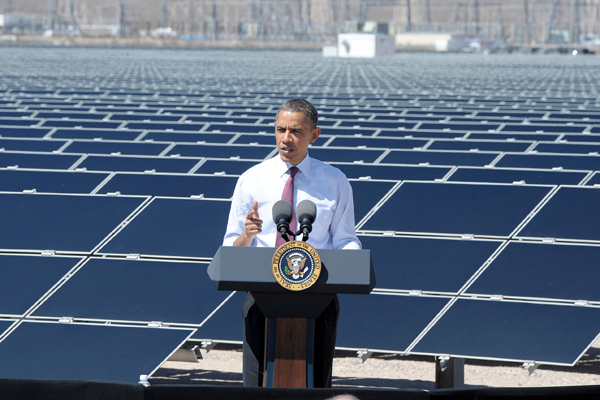 When President Obama visited the Copper Mountain Solar 1 Facility in Nevada Wednesday, he got a first-hand look at the first large-scale solar facility equipped with solar forecasting devices called sky imagers. The devices are powered by sophisticated algorithms, which were developed by researchers at the University of California San Diego. The technology was funded by Sanyo Electric Corp., now Panasonic, the Department of Energy, California Energy Commission and California Public Utilities Commission. 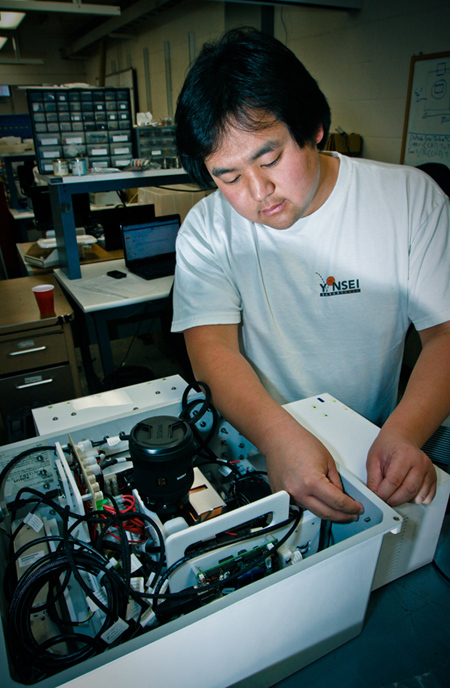 Scott Kato, a mechanical engineering major, works on a sky imager. 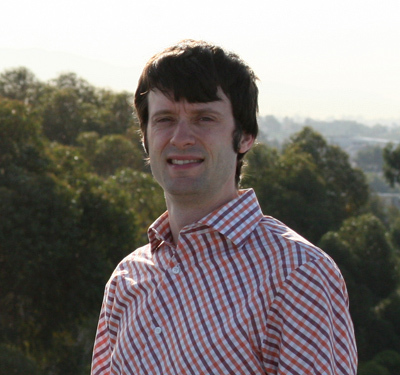 Sky imagers, and their algorithms, are the brain child of Jan Kleissl, an environmental engineering professor at the Jacobs School of Engineering at UC San Diego. His research, and solar forecasting at UC San Diego, received a boost earlier this month with a $1.5 million grant from the California Public Utilities Commission. The grant funds research to refine forecasting methods and work with San Diego Gas & Electric to help integrate solar power into the energy grid. Kleissl is the principal investigator on the grant with Carlos Coimbra, also a professor of environmental engineering at the Jacobs School. Their work could generate substantial savings for utility companies. Jan Kleissl, a professor of environmental engineering at the Jacobs School is on of the lead PI on the grant. “As California continues to integrate higher amounts of solar energy into the grid, demonstration projects like these will maximize the value of solar energy by providing predictable generation profiles that grid operators can rely on,” said CPUC President Michael R. Peevey. See how algorithms developed by Ricardo Marquez of Prof. Carlos Coimbra’s Solar Forecasting Group using a conventional, low resolution sky imager forecast ground irradiance (red line) 5 minutes ahead of time, and how the forecast compares with the actual irradiance measurements (grey area). 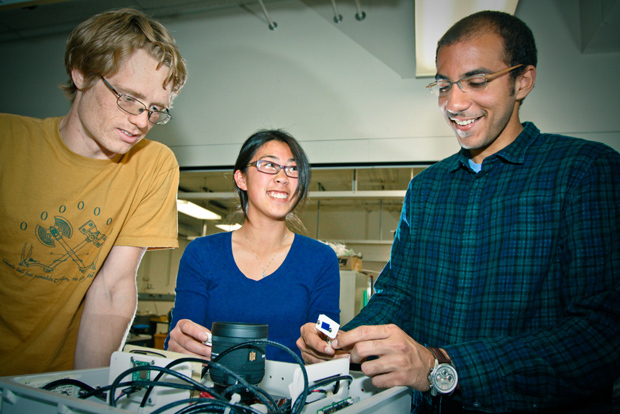 From left: graduate student Ben Kurtz, Amy Chiang, a senior, and graduate student Mohamed Ghonima. 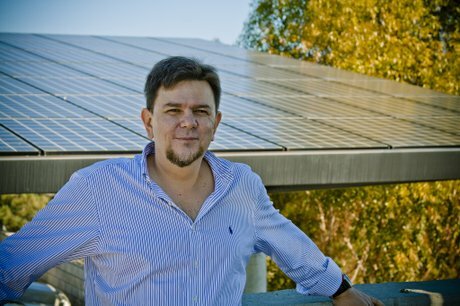 Carlos Coimbra, a professor of environmental engineering is the other PI on the CPUC grant. SolAspect’s high-definition cloud tracker showing cirrus, nimbus and cumulus clouds and their effects on direct normal irradiance at the ground level.